At the Law Offices of Phrances Leverton Szewczyk in Middletown, Connecticut, Attorney Szewczyk is dedicated to accomplishing the goals of her family law and other clients, protecting their interests and guiding them through whatever difficult circumstances they are facing. With 25 years of experience, she has the knowledge and skill to effectively represent individuals and businesses throughout Middlesex County in all Connecticut courts and the Federal District Court. Phrances Leverton Szewczyk received her undergraduate degree at Smith College and her Juris Doctor from the Western New England University School of Law. She belongs to the American Bar Association, the Connecticut Bar Association and the Middlesex County Bar Association. 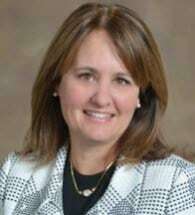 Attorney Szewczyk has strong community involvement, including serving as past president of the Kiwanis Club of Middletown and as past president and treasurer of the Wesley School PTA. Her law firm offers free initial consultations and offers flexible scheduling of office appointments.